"Liaodong" redirects here. For the former Liaodong Province, see Andong Province. The Liaodong Peninsula (simplified Chinese: 辽东半岛; traditional Chinese: 遼東半島; pinyin: Liáodōng Bàndǎo) is a peninsula in Liaoning Province of Northeast China, historically known in the West as Southeastern Manchuria. Liaodong (formerly spelled Liaotung) means "East of the Liao River"; referring to the Liao River which divided the Yan commanderies of Liaoxi (simplified Chinese: 辽西; traditional Chinese: 遼西) (West of the Liao River) and Liaodong during time of the Warring States period. 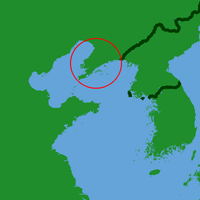 The peninsula lies in the north of the Yellow Sea, between the Bohai Sea to the west and Korea Bay to the east. It forms the southern part of a mountain belt that continues northward in the Changbai Mountains. The part of the mountain range on the peninsula is known as the Qianshan Mountains, named after Qian Mountain in Anshan, which includes Dahei Mountain in Dalian. Liaodong came under the rule of the Gojoseon kingdom which emerged in the region. 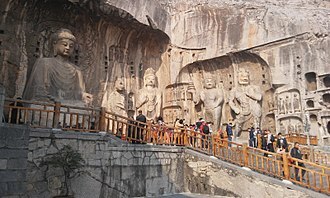 In the late 4th century BC, the Chinese State of Yan invaded and conquered this region from Gojoseon. Later on various states and dynasties such as the Han Dynasty, Gongsun Yuan, Cao Wei, Western Jin, Former Yan, Former Qin, Later Yan, Goguryeo, Tang Dynasty, Balhae, Liao Dynasty, Jin dynasty (1115–1234), Yuan dynasty, Ming dynasty and Qing dynasty ruled Liaoning. The Murong clan of Xianbei founded a new kingdom in Liaodong and Liaoxi in the fourth century. The peninsula was an important area of conflict during the First Sino-Japanese War (1894–1895), which the Japanese won. 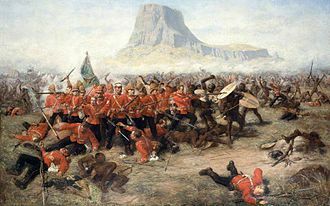 Defeat precipitated decline in the Chinese Qing dynasty which was exploited by colonial powers who extracted numerous concessions. 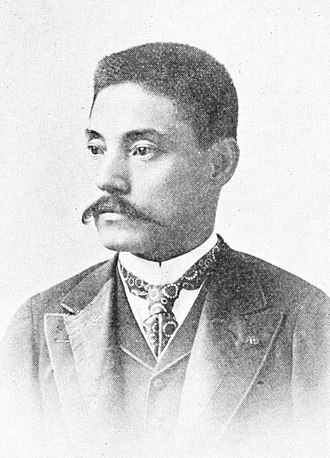 The peninsula was ceded to Japan, along with Taiwan and Penghu, by the Treaty of Shimonoseki of 17 April 1895. 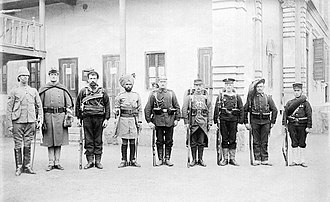 However the ceding of Liaodong peninsula was rescinded after the Triple Intervention of 23 April 1895 by Russia, France and Germany. In the aftermath of this intervention, the Russian government pressured the Qing dynasty to lease Liaodong and the strategically important Lüshunkou (Port Arthur) for use by the Russian Navy. As in the First Sino-Japanese War the Liaodong peninsula was the scene of major fighting in the Russo-Japanese War (1904–1905). 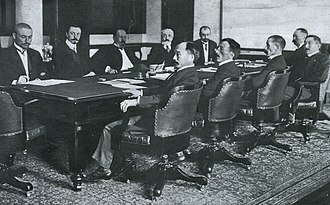 As a consequence of the Treaty of Portsmouth (5 September 1905), which ended the Russo-Japanese War, both sides agreed to evacuate Manchuria and return it to China, with the exception of the Liaodong Peninsula leased territory which was transferred to Japan, which was to administer it as the Kwantung Leased Territory. ^ Grousset, Rene (1970). The Empire of the Steppes. Rutgers University Press. 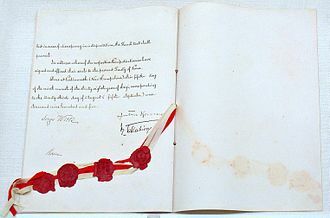 p. 57. ISBN 0-8135-1304-9. The Changbai Mountain Range is a mountain range on the border between China and North Korea. It is referred to as the Šanggiyan, Jangbaek, or Ohnan mountains, the range extends from the Northeast Chinese provinces of Heilongjiang and Liaoning to the North Korean provinces of Ryanggang and Chagang. Most peaks exceed 2,000 metres in height, with the highest mountain being Paektu Mountain. The range represents the mythical birthplace of Bukūri Yongšon, ancestor of Nurhaci and the Aisin Gioro imperial family, who were the founders of the Manchu state, the Chinese name literally means Perpetually-White Mountain Region. The mountains are the source of the Songhua and Yalu Rivers, the Changbai Mountains are characterized by long and cold winters. Precipitation is low in the winter but higher in the summer, the vegetation of the mountain slopes is divided into several different zones. At the top, above 2000 metres, tundra predominates, from 1700 to 2000 metres, vegetation is dominated by mountain birch and larch. Balhae, called Bóhǎi in Chinese, was a kingdom in present-day northern Korea, areas of Chinas Northeast, and Russias Maritime Province. 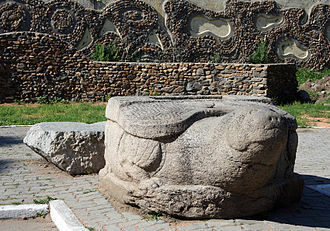 Balhae was established under the name Jin by former Goguryeo general Dae Jo-yeong in 698 after his defeat of the Tang China at Tianmenling, Balhaes original capital was at Dongmo Mountain in modern Dunhua, Jilin Province. In 742 it was moved to the Central Capital in Helong and it was moved to the Northern Capital in Ningan, Heilongjiang in 755, to the Eastern Capital in Hunchun, Jilin in 785, and back to the Northern Capital in 794. 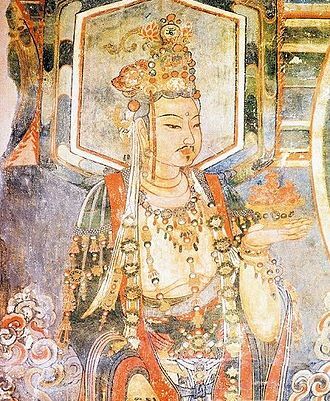 According to a Chinese source, the kingdom had 100,000 households, archaeological evidence suggests that the Balhae culture was an amalgamation of Chinese and indigenous cultures. Korean scholars consider Balhae as the part of the North–South States Period of Korean history, Balhae was founded in 698 under the name Jin or Zhen. Jin is the modern Revised Romanization of Korean 진, the same as the earlier Jin state, the former states character referred to the 5th earthly branch of the Chinese and Korean zodiacs, a division of the orbit of Jupiter identified with the dragon. This was associated with a bearing of 120° but with the period between 7 and 9 am, leading it to be associated with dawn and the direction east. The latter states name may have simply been a variant transcription of this or may have intended the characters meaning of thunderclap, tremor. In 713, the Tang dynasty bestowed the title Head of Bohai Commandery to the ruler of Jin, in 762 the Tang dynasty of China recognized it a kingdom and renamed it Bohai. The earliest extant recorded mention of Balhae comes from the Old Book of Tang, southern Manchuria and northern Korea were previously the territory of Goguryeo, one of the Three Kingdoms of Korea. Goguryeo fell to the forces of Silla and the Tang dynasty in 668. 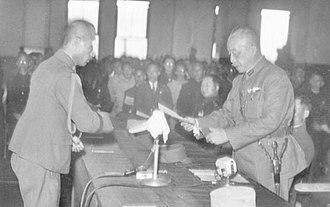 The Tang annexed much of western Manchuria, while Silla unified the Korean peninsula south of the Taedong River, after Dae Jungsang’s death, his son, Dae Jo-yeong, a former Goguryeo general succeeded his father. Geolsa Biu died in battle against the Tang army led by the general Li Kaigu, Dae jo Yeong managed to escape outside of the Tang controlled territory with the remaining Goguryeo and Mohe soldiers. 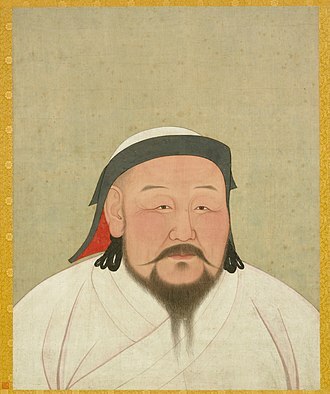 The Xianbei were proto-Mongols residing in what became todays eastern Mongolia, Inner Mongolia, and Northeast China. Along with the Xiongnu, they were one of the nomadic groups in northern China during the Han Dynasty. 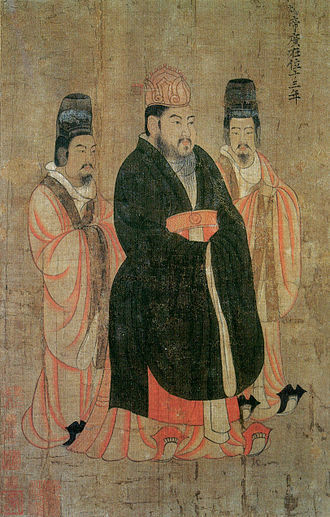 They eventually established their own dynasties, including the Northern Wei founded in the 4th century AD by the Tuoba clan. 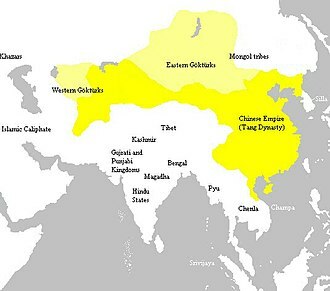 It is generally accepted that the Xianbei spoke a related to the Mongolic languages. Claus Schönig writes, The Xianbei derived from the context of the Donghu, Later branches and descendants of the Xianbei include the Tabghach and Khitan, who seem to have been linguistically Para-Mongolic. 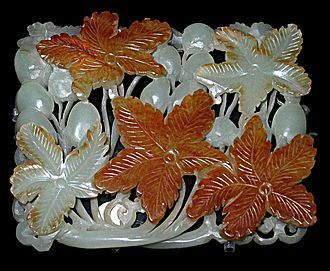 Opinions differ widely as to what the impact of the Xianbei period was. Chinese historical texts unequivocally state that the Xianbei were descendants of the Donghu, the Xianbei were a northern or northeastern Asian population according to modern Chinese and Russian anthropologists. 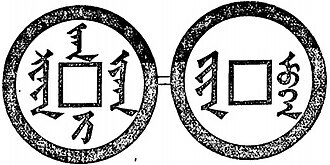 After the Donghu were defeated by Modu Chanyu around 208 BCE, the Book of the Later Han says that “the language and culture of the Xianbei are the same as the Wuhuan”. 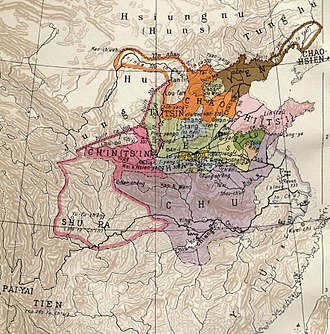 The Records of the Three Kingdoms say, Tanshihuai of the Xianbei divided his territory into three sections, the eastern, the middle and the western, from the You Beiping to the Liao River, connecting the Fuyu and Mo to the east, it was the eastern section. There were more than twenty counties, the darens were called Mijia, Queji and Huaitou. From the You Beiping to Shanggu to the west, it was the middle section, there were more than ten counties. The darens of this section were called Kezui, Murong, from Shanggu to Dunhuang, connecting the Wusun to the west, it was the western section. There were more than twenty counties, the darens were called Zhijian Luoluo, Rilü Tuiyan, Yanliyou, et al. 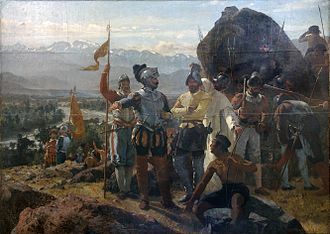 These chiefs were all subordinate to Tanshihuai, … Refined metals and wrought iron have come into the possession of the rebels. Han deserters seek refuge and serve as their advisers and their weapons are sharper and their horses are faster than those of the Xiong-nu. But in so doing they are bent on gaining precious Chinese goods. 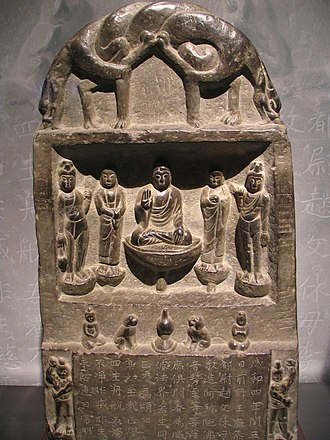 The Xianbei state (1st-3rd century). A Japanese propaganda block print of the night attack on Port Arthur by the Japanese Navy.